Christian Pulisic’s start to his Chelsea career is set to be delayed as the USA are keen to take the Blues’ new signing to this summer’s Gold Cup. The Gold Cup runs from 15 June to 7 July this year with the United States National Team keen on assembling the strongest squad possible for this year’s edition of the CONCACAF tournament, which will prove important for the US. It will be a vital opportunity for the new manager Gregg Berhalter to do extensive work with the American players, including Pulisic. What this means is should the Americans reach the latter stages of the competition, Pulisic may have to miss the beginning of Chelsea’s pre-season owing to the required three full weeks of rest before starting work for the new campaign at his new club. Similarly, the coming pre-season would prove crucial for Blues boss Maurizio Sarri. 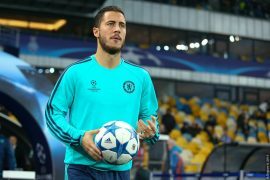 It would be his first full pre-season for the club following his relatively late arrival at Stamford Bridge last summer that disrupted his preparations for the current campaign and would serve as a platform for the ex-Napoli manager to properly ingrain his preferred playing style into the west Londoners. Pulisic, whose £58 million transfer deal sees him spend the remainder of the current season at Borussia Dortmund, will be on show at London on Wednesday as the current Bundesliga leaders visit Tottenham for the Champions League and he looks set to relish the opportunity. The tantalising prospect of eliminating Tottenham from the last-16 of Europe’s top-tier club competition would make him an instant favourite for the Stamford Bridge faithful yet Pulisic insists on keeping his concentration for Dortmund at the moment.